Are you motivated to toe the line with other athletes but there are no upcoming races near you? Or are you busy on race day and cannot make it? A virtual race may be the option for you! 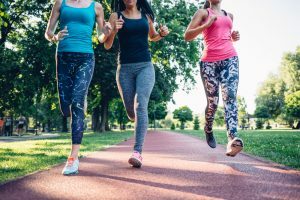 Skip the pre-race nervousness with other runners and enjoy this new trend in the running world. With virtual racing, you can sign up online and complete any challenges on your schedule. You can even choose your own starting time. You will still get the benefits that come with competition in person including community support, competition, and rewards for taking place in a virtual race. Register online and receive a race bib just like you would in a live event. 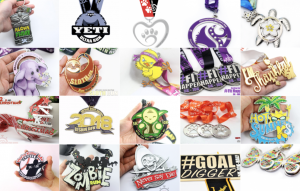 Once you are finished racing, upload your finishing time and you will receive a medal in the mail. Here are some more reasons why you need to be doing virtual racing! You can easily work around whatever comes your way with virtual racing. Is the weather bad? 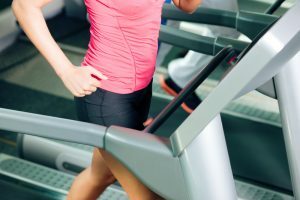 Don’t sweat it – or do by hitting the treadmill! Are you feeling tired? Take it easy and just enjoy the distance. Are you sick or had a hard night of sleep? You can simply reschedule (a benefit you never get with real-life 5ks). Let’s face it. Life is busy. You probably want to run more races than you can fit in your schedule with work, family, and travel. Stay motivated by setting goals with virtual racing. By joining a virtual race, you can get geared up and in the racing mindset. Knowing you will be sharing your results, you may surprise yourself with how well you do! You might even set your own distance personal record because of your newfound motivation. Is your city filled with trails and fitness centers you have wanted to check out? By signing up for multiple virtual races, you can give yourself a reason to take advantage of each of those places! Or do you already have a favorite place to run? With virtual racing, you have the option of running on your favorite trail every time you race! Virtual racing offers runners opportunity to experiment with new training methods and plans to determine what works best for you when it comes to hydration and nutrition before and during a race. You can also work out the details with what resting time is best for you before and after a race, which supplements work best for you and even which apparel works best for you and your time. One reason many people fail to get into running races is out of fear of embarrassment. A virtual race enables you to treat yourself like the runner you are without worrying about running with other people or the fact that others looking at you. Disappointment, stress, and fear are feelings that can affect our enjoyment as runners. Some races or workouts may present a mental barrier that is harder to overcome than a physical one, leading you to struggle with even getting your laces tied to run. 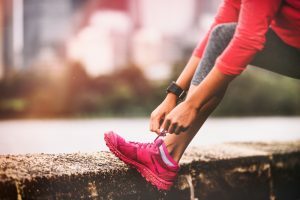 If you have ever faced this kind of challenge, read on to learn how you can overcome these mental hindrances to your success on the pavement (or trail). It is sometimes difficult to not compare ourselves to runners we think are better and/or faster. Although having other runners around to compare yourself to can be motivating, enabling you to set realistic goals, there will almost always be someone faster than you. The trap of comparison occurs when one takes this too far, potentially hitting a wall of disappointment head-on. Not all runners are created equally, meaning we do not all have the same genes or resources, time or training. If you find yourself making self-defeating comparisons on a regular basis between your pace and those of runners who are faster, stop – right away. Are you putting in all you can? If you are, find encouragement in the fact that you are putting great effort into your workouts and that you have likely improved greatly in comparison to your pace before. Motivate yourself by your own times! Although fear can be a driving factor, it can also do just the opposite. Many runners end up overwhelmed, giving into fear, which may result in anxiety, a lack of confidence and a running experience that is less than our best. When fear begins to creep up on you, acknowledge it first and then begin to take steps to positively change your thoughts. 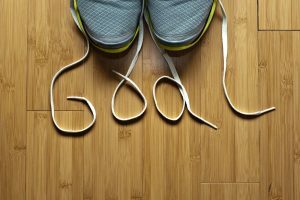 Set realistic goals, taking small steps in achieving them. Practice relaxation techniques. Develop positive affirmations toward yourself. Be willing to risk failure in order to succeed. If you don’t get up and try again, you will not ever make it. Be the best you can be when you make a commitment to reach a goal or win a race and keep your expectations in balance. Celebrate by looking up at what you have achieved instead of down at what you have failed to accomplish in your eyes. Setting and beating your own personal record is a great delight when it comes to running. But some runners get caught in a cycle of constantly trying to beat their own personal record. This can lead to disappointment and burnout in some. Instead, enjoy your runs regardless of whether you are beating records or not. That is not to say you should not strive to succeed and achieve growth. Just simply change your outlook and look for other rewards as well – not just gaining the fastest time. 2018 is your year to be the best you that you can be. No more abandoning your goals for the New Year — start this year off strong and finish stronger! Make this year about facing challenges head on and conquering them. One way to help you reach your goals is encouraging others to get involved too. This way you can have a support system to help others keep you accountable for your goals. Here are a few tips that can help you show yourself the love you deserve and to help others get involved. We already mentioned the value of finding a friend to accompany you in your goals — but remember that your support network can be more broad and diverse than that. Participating in an internet community centered around your topics of interest and asking your family to support you in your goal are both good ideas, for example. 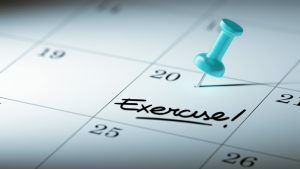 Signing up for an event related to your new goals can also be a tremendous motivator that connects you to a wider community of people interested in the same kinds of self-improvement as you. A 5k is the perfect race for beginners and it is something that you, your friends and family can train for together. Perfectionism and procrastination sometimes go hand in hand. It is important to understand that there will never be a perfect time to start working toward goals — and those who wait for such a moment often end up waiting forever. (Remember that perspiration counts more than inspiration, after all!) Talk to your family or friends about finding time each week when you can just go and run. It doesn’t need to be for hours at a time, just a half an hour can make a difference. Text or call each other to coordinate times when you can get together to train. Having a reward of some sort to look forward to will help push you to keep it and meet your goals. It is important to be kind to yourself, and indulging in a special treat once you succeed is an excellent way to do this. Also, who doesn’t love spending time with people that they love? When your support system is able to reach goals together, you have the chance to celebrate together. Go out and do something that you all love doing together. Find a Race that You Will All Love! Each of our races has a different theme. Work together to find a race with a theme that your entire group is a fan of. This way, when you get your medals, you will always be happy to show them off to let others know what you have accomplished. A virtual race could be the perfect way of staying focused on your new year’s goal of getting into better shape. Visit Virtual Pace Series online today to see what race will be best for you and your loved ones! Running is one of the easiest ways to exercise. It can be done alone or in groups, almost anywhere, and requires almost no special gear or equipment. That being said, it does take some preparation to run safely and effectively, especially when you are training for a race. If done wrong, running can be uncomfortable, and even dangerous. 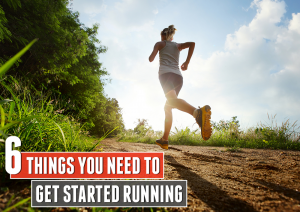 Here are a few of the most important things you’ll need to have on hand if you want to get the most out of your running, and avoid getting hurt. There’s a reason that this is number one on the list. Old, broken down, or badly fitting shoes can wreak havoc on your feet. If you’re going to start running, invest in a new pair of running shoes, and make sure that they fit well. Some runners even have two or more separate pairs of shoes that they use for different types of running (short distance vs. long distance for example). If you have particularly bad feet, you might want to consider purchasing inserts as well. Regular old cotton socks just won’t cut it. If you want top performance with minimal risk of blistering, synthetic socks are the way to go. With cotton socks, moisture is absorbed into the material and if your feet sweat, they will stay wet. This can get particularly uncomfortable in extremely hot or cold temperatures, and put your feet at risk of fungal infection. Running long distances without protecting yourself from the sun can result in uncomfortable and dangerous skin damage from sunburns. A sunscreen with a high SPF is a must for runners, particularly in the summer when skin is exposed and the sun is at its hottest. As with socks, synthetic materials in clothes are important for keeping cool/warm and dry in extreme temperatures. Keeping sweat off can prevent chafing and make for a much more comfortable run. For women, proper clothing also includes a good sports bra. This may seem like a no-brainer, but dehydration is no joke. On a hot day, water is vital to prevent heat stroke and replenish moisture lost through perspiration. In the cold, staying hydrated is important because it helps you retain heat and prevents chapped lips from low humidity. While a plain old bottle of water works fine, some people prefer camelbaks or other alternative methods of carrying water that does not require you to hold water in your hands the whole run. It happens to everyone. We go on an intense run one day, and the next morning, we wake up with soreness everywhere. There are 2 reasons for the soreness in your muscles. The first reason is due to the lack of oxygen that your muscles receive during intense workouts, leading to lactic acid build up in the muscles. The second reason is due to small tears in your muscles, that your body needs to heal, which will strengthen your muscles. In the end, soreness in your muscles is a good thing, but that doesn’t necessarily mean that you need to always be in pain. Here are some ways that you can prevent muscle soreness before, during, and after you run. Wearing running gear such as compression tights and compression socks can help prevent soreness later on. Compression clothing can help reduce muscle micro-tearing. Before you run, take some time to stretch out your muscles and warm them up. These stretches can help loosen your muscles and prevent micro-tears in your muscles. Make sure that you stretch your hamstrings and glutes. After you have finished your run, take some time to walk around to cool down. Take 10-20 minutes to just walk and do some light stretching after you have finished. This will relax your muscles and will ease them after the intensity of your run. Doing light massage or foam rolling after your run helps break down lactic acid build up and encourages blood flow to the area. Blood flow helps your muscles repair more quickly. 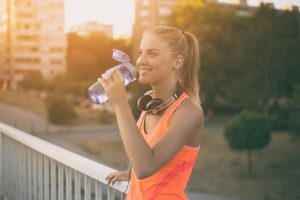 Constant hydration is known to help reduce the soreness of your run. It helps to flush out of the lactic acid that is built up in your muscles. Most experts recommend that you consume approximately 2 quarts of water for every hour that you run. Usually, you are hungry after a workout since you likely burned off quite a few calories and it’s best to eat as soon as possible. Eating protein after your work out can help your muscles build up faster after a run, making the recovery shorter. Epsom salts are known to help ease muscle pain after a run. Follow the instructions that are recommended on your Epsom salts. Another great solution to decrease inflammation that can lead to soreness is through ice therapy. Place ice packets on your body and strap them on tightly with plastic wrap. Keep these on for 30-40 minutes. Half of the fun of doing a virtual race is taking the time to train before it. Part of training is dealing with the discomfort of soreness, but the positives greatly outweigh any of the negatives. Think about how energized your body feels while you run and the joy of accomplishing your training goals along the way. And nothing can beat the pleasure that you feel when you get that medal once you are done with your race.